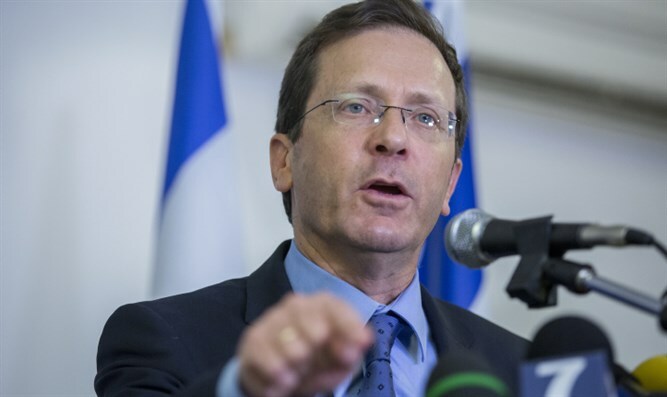 Opposition leader Yitzhak Herzog, who will finish in his current capacity at the end of the month, will leave the Knesset and take over as chairman of the Jewish Agency. “I enjoyed every moment. I now turn to the service of the people and the state in an important, challenging and fascinating arena at a crucial crossroads in the history of the Jewish people. It was Jabotinsky who wrote constantly about the danger of losing Jewish identity, the danger of losing the continuity of our people and the danger of division that threatens our people. And just as then, so now, the challenges are similar but different. I will enter my new position as chairman of the Jewish Agency for Israel out of a deep sense of mission. " “Honor the immigrants. Be careful of your language, respect all Jews no matter who they are. They are all sons and daughters of our people. We do not have this privilege and let us not forget the magnitude of the disasters that have afflicted our people. Thousands of years of exile we hoped for political independence. Jabotinsky hoped for it but did not get to see it. We have been privileged to live in the nation-state of the Jewish people in independence and security - a great deal thanks to the Jewish people dispersed in all its colonies. It is a tremendous responsibility. "